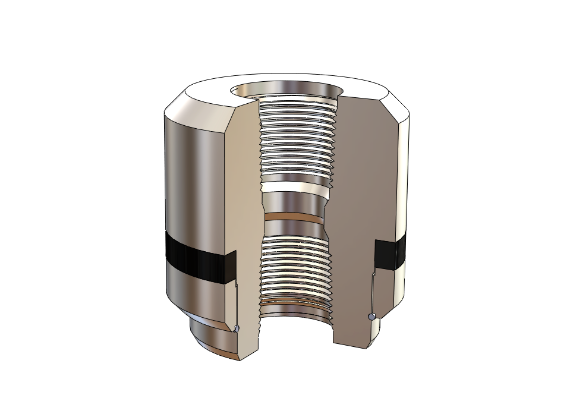 The tubing hanger is a wellhead component that provides a means to suspend and seal a tubing string in a tubing (or casing) spool. The tubing hanger lands in the top prep of tubing head and is retained in the tubing head with lock-down pins. It seals the annulus between the tubing and the production casing. UWS tubing hangers are available in all standard API tubing sizes. TC-1W; is a wrap around style tubing hanger that is designed to seal the annulus, but not suspend the tubing string itself. It seats inside the tubing head bowl and has a seal that is activated by engaging the lock-down pins. 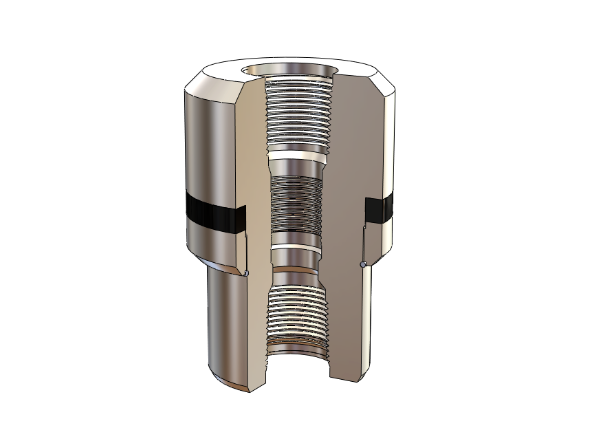 It can be used in conjunction with the BO-2 hanger coupling and B-2P, B-1 or KTH adapters. 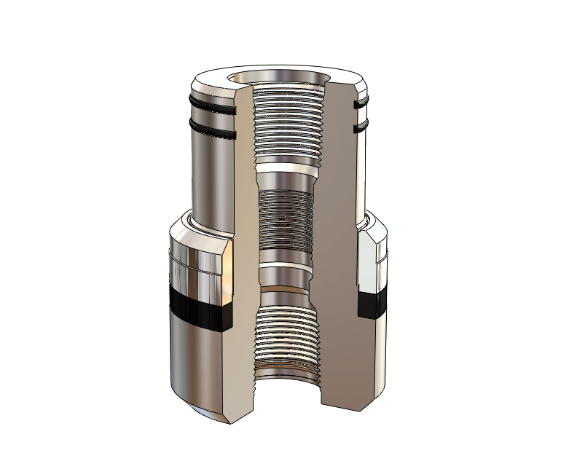 BO-2; is a mandrel hanger coupling threaded on both ends with any API tubing thread (suspension & lift threads) and has an internal back-pressure valve prep. The BO-2 coupling screws into the BO-2 adapter by rotating the tree assembly and is used in conjunction with a TC-1W. Ideal for situations when you want to pick up the tree and tubing together. TC-1A; this is a mandrel type hanger that has female suspension and lift threads. This hanger can be landed through a full opening BOP stack. The seal is activated by tubing weight and the lock-down pins. TC-1A-B; this hanger is the same as the TC-1A but includes a back-pressure valve prep. It can be easily snubbed in under pressure. TC-1A-EN; same design as the TC-1A-B only with an extended neck that protrudes above the tubing head. The extended neck incorporates 2 or more S-seals. The A-5P tubing head adapter seals over the neck of this hanger offering a second seal point so the hanger can be pressure tested. TC-1A-EN-CL; same hanger as the TC-1A-EN, but includes porting for down-hole control lines. The neck has extra S-seals to isolate the ports and the A-5P adapter has porting to access and pressure test them. TC-60; This hanger is designed for dual completions and is used in conjunction with the TC-60 tubing head. Available in a wide variety of tubing string combinations. TCD-2C; This hanger is also designed for dual completions and doesn’t require a tubing head with dual alignment pins. 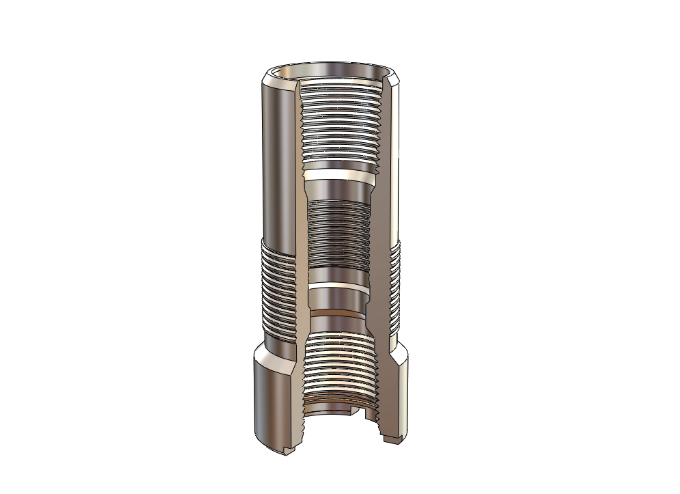 Used in conjunction with a rotating flange it provides a low-cost alternative to dual completions. It consists of a master bushing with a threaded hanger mandrel for each string. 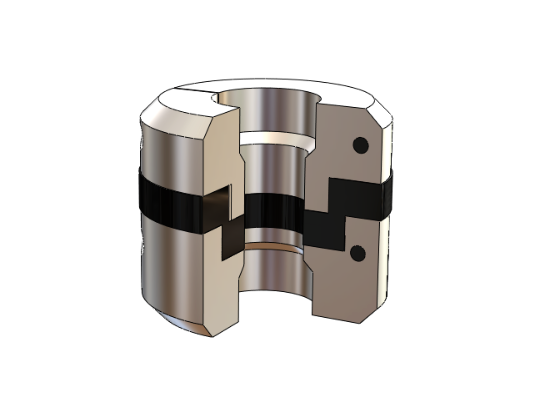 TC-22; Slip type hanger that will support casing or tubing in the bowl. The seal is weight activated and it is retained in the head by the lock-down pins. It can hang up to 5-1/2” OD casing in a standard 7-1/16” bowl. TCM Tension Hanger; This is a two-piece hanger system that allows your tubing string to be placed in tension, while hanging in a flanged system. 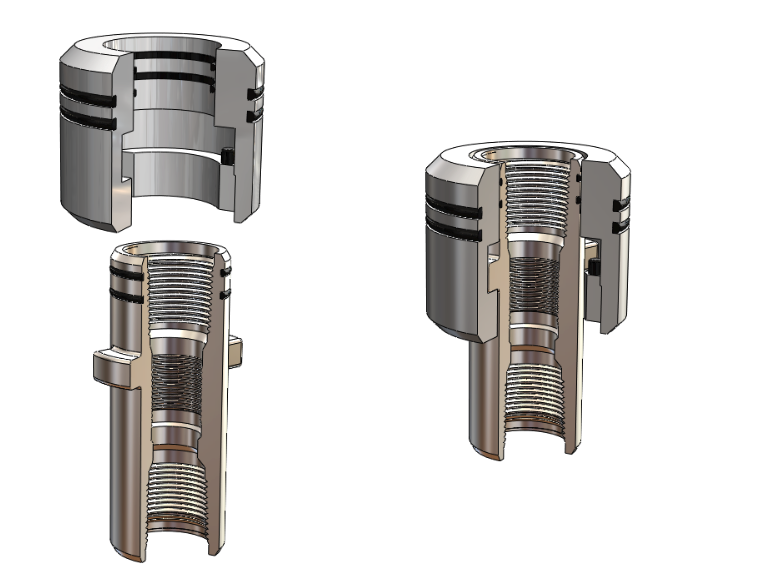 The hanger coupling (threaded top and btm) detaches from the master bushing allowing the tubing string to go downhole. Set the tubing and pull up to put in tension and lock into the master bushing by engaging the hanger coupling into the master bushing. Optional BPV prep available as well as a neck extender that allows an A-5P adapter to be used. Standard material for all tubing hangers is HNBR 85 durometer. Viton, Aflas and high/low temp HNBR are available upon request. Metal to metal sealing is also available upon request. All tubing hangers are available in a variety of alloy, stainless or Inconel steels for all API trim specifications. A wide variety of corrosion resistant coatings are available for the ID or the entire hanger. The most common coatings used are; Xylan and Copper Flash. Other coatings are available upon request.